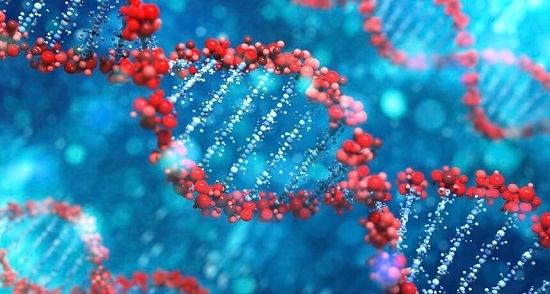 Hair is made up of proteins to be precise- Keratin. It is one of the most defining characteristics in humans. At some point in time, we have had hair fall problem. In this article, we will discuss in depth about How To Regrow Your Hair. It can also be possible that your hair might be going through the phase of hair shedding. If you are going through one of those then there isn’t much to worry but if it’s more than that then you should probably take it more seriously. 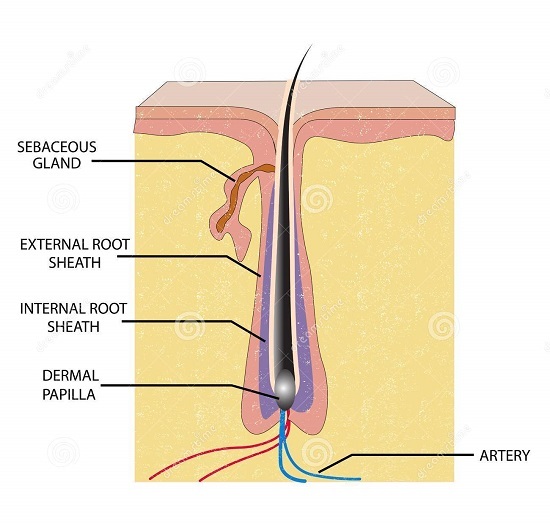 The hair follicle is a funnel-like segment of the skin (epidermis) that extends down into the dermis. There are about 5 million hair follicles on the body in which one hundred thousand of those are on the scalp. The number of follicles remains fixed in our lifetime. You might notice that the density of hair is reducing while they grow, this is because the scalp expands as we grow. This is the visible part of the hair. It is made of proteins- Keratin. It has three layers but let’s not dive into the details here. 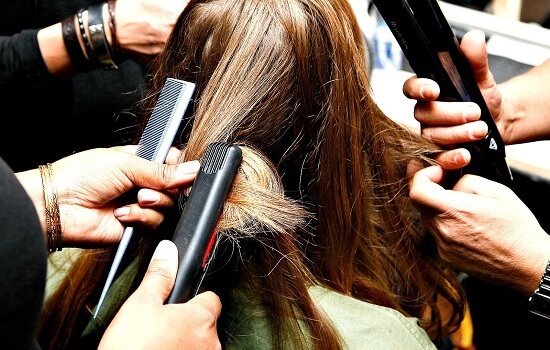 One quick fact- The keratin is dead protein, so basically, your hair is not alive. The hair shedding in humans unlike other mammals are random. Others mammals have cyclical or season growth cycles, but not us! We are unique, aren’t we! There are 3 stages of growth and shedding, which are: Anagen, Catagen and Telogen. This is the growing phase of the hair. 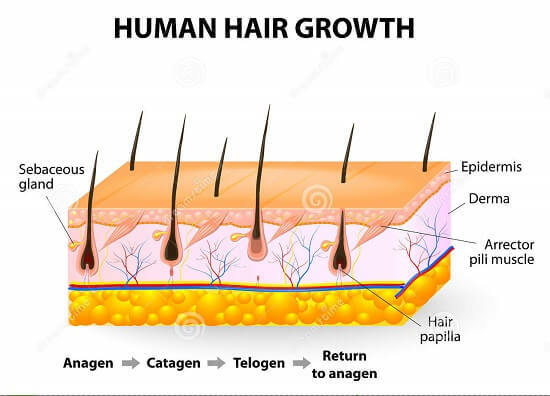 The cells in the root of hair are rapidly growing, new hair forms pushing out the hair which is no longer growing in the Anagen phase. The scalp hair stays in this phase for two to five years, in which the hair grows actively. The hair on arms, eyebrows and other areas have short Anagen phase of 30 to 40 days, that’s why they are much shorter than scalp hair. This phase lasts for about two to four weeks and growth stops. It is also known as the transitional stage in which your hair prepares to go into resting. This is the resting phase and can last about 100 days. The Telogen phase for eyelashes, arms and legs are longer. If you pull out your hair in this phase, you will notice a dry white material at the root of the hair. At any given time, 10-20% of your hair is in Talogen or the resting phase. Hair falls occur when your hair starts falling out without completing these 3 stages. Hair loss occurs when the shedding cycle is disturbed or when the hair follicles are being destroyed and replaced with scar tissues. 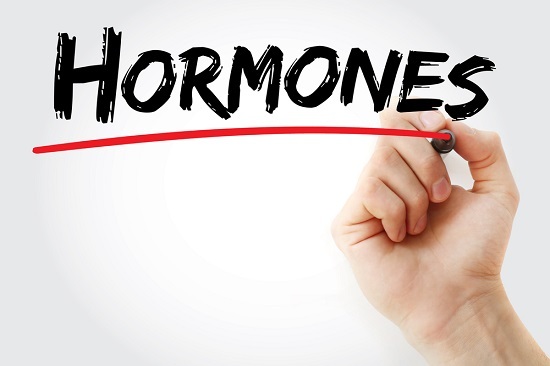 Due to pregnancy, childbirth, menopause and thyroid problems like hyperthyroid or hypothyroid, a change in hormones takes place. This changes the overall hormonal balance of your body which can cause baldness. Introducing a new type of medicine in your routine could be a reason perhaps. Hair loss can be the side effect of drugs or supplements that are used to cure blood pressure, heart problems and other diseases. 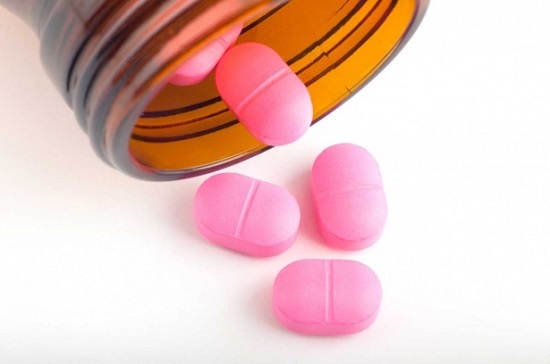 Birth control pills, diet pills, thyroid medicines can also cause hair loss. A physical or emotional shock can trigger hair loss but this type of hair loss is temporary. Doing anything in excess is bad for you. Similarly for your hair, if you are excessively styling it, using chemicals on your hair or applying chemical colors then hair loss is inevitable. If your hairstyles include pigtails or cornrows in which the hair is pulled tight then it can cause hair loss called traction alopecia. Using hot treatments and can cause inflammation of hair follicles and if scarring occurs then hair loss could be permanent! Last but not least, this could be the major factor for hair loss. Examine your family tree if your parents had hair loss problems then you are more likely to suffer from it too. It’s not only for men, women too suffer from hereditary hair loss. First of all, you need to know the root cause of the hair loss problem. For that, you need to correctly diagnose the problem. For this consult your family physician to check if the hair fall is due to any medical anomaly. This will really help you because you will know the cause of the problem and can begin the treatment. If it’s a medical condition, then your physician will prescribe you the supplement and precautionary measure. Ayurveda and traditional medicines already use them to stop hair loss and promote hair growth. 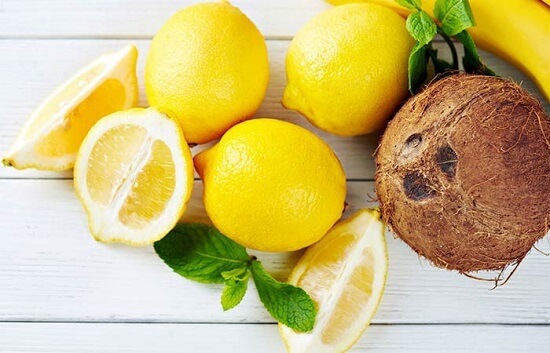 Mix 4 tablespoon of coconut oil and 2 tablespoons of lemon juice in a bowl and refrigerate the mixture for 4 hours. Apply this mixture to your scalp and hair and leave it for an hour. Hibiscus- It helps in the nourishment of hair and prevents dandruff. It is well known for its rejuvenating properties. Hibiscus has natural oils that prevent hair loss and will help in hair growth. 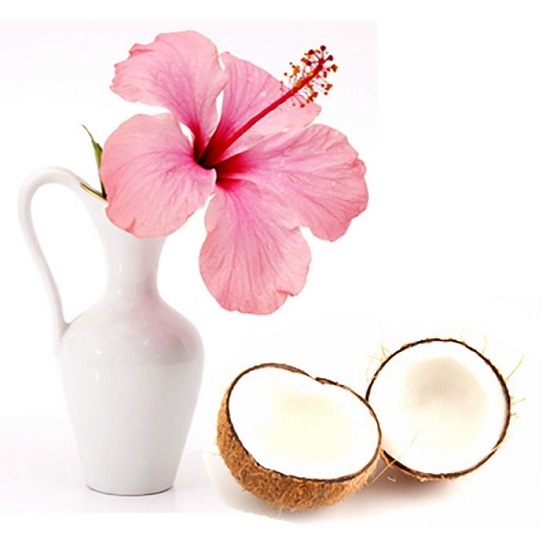 Mix Fresh hibiscus flowers with coconut oil and sesame to make a fine paste. Apply this mixture to your scalp and hair and leave for it for a few hours. Gently wash your hair with a mild shampoo. Collagen is needed for the growth of hair and these natural ingredients can boost its production. They are rich in sulfur and excellent to regrow your hair. 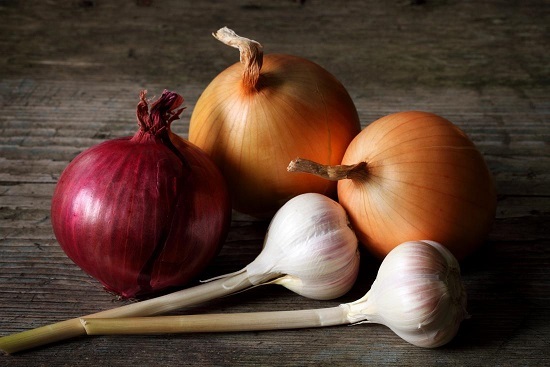 Extract the juice from onion and apply this on your scalp. Leave it for an hour and then wash it with a mild shampoo. 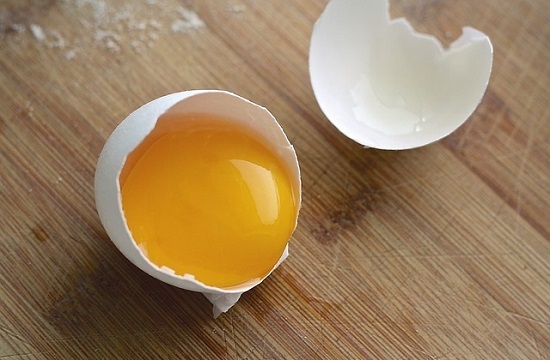 Eggs contain lecithin and protein which nourishes and heals your hair strands. And its high sulfur content will surely help in your pesky dandruff problem. Mix two eggs with two tablespoons of olive oil. Apply the mask directly to dry, brushed hair and leave it up to 30 minutes. Wash off with shampoo and conditioner. I hope you win the battle again hair loss gloriously. Please share it with your friends and family if this article was useful for you.